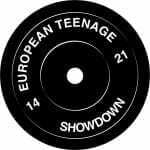 The upcoming European Teenage Showdown 2019 is an unique competition only for teenagers between 14 – 21. The event is organised by the well-known team of House of WODs who have already proven themselves in organising the famous Double Cross Challenge and Hungarian Games. The Showdown will be organised on the amazing Danube shore in Sződliget, Hungary. Please follow the Facebook page of the event. Every related information will be shared there. We keep you posted.